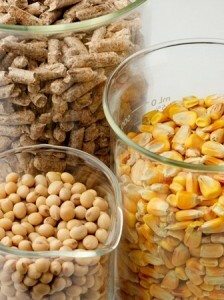 Biomass is simply all plant and animal matter on the Earth’s surface. Harvested biomass may be used to generate various forms of energy, such as heat, electricity, biofuels and other biobased products. Examples of biomass include wood waste, energy crops, crop residues and other forms of organic waste. North Dakota is an agricultural state and much of the land area is in working farms and ranches. Utilizing biomass for energy production may have many benefits, including improved national security, increased economic growth and broad-based environmental benefits. North Dakota State University and UND’s Energy & Environmental Research Center are actively engaged in biomass research, as well as the USDA Agricultural Research Service.